Coarse thread vs. fine thread fasteners is one of the most common questions in the industry. Surprisingly, many people don’t know that there are some significant trade-offs to the type of threading you choose for a project. Each kind of threading has some benefits that the other lacks. Threading are uniform ridges of varying height and width (from fastener to fastener) that wrap around a cylinder. This helical shaped threading can be either wide set and deep which are considered coarse thread while a more narrow helical shape with shallow ridges is considered to be fine thread. Both have benefits the other lacks, so which one should you choose? Coarse thread fasteners are an excellent choice for most applications. Commonly chosen for construction simply because their threading can be lightly damaged and still work effectively. Coarse threading allows for more material to sit between these threads as they are installed. 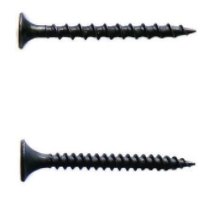 Due to this, it is harder for coarse threaded fasteners to strip or cross thread. Their extra tolerance allows for nicks or marring to occur on the edges of the threading without inhibiting the ability to fasten them. Coarse threading is also much less likely to gall then fine threading. Fine threading requires many more turns per inch which generates more friction. Excess friction dramatically increases the chance of galling in fasteners. Regardless we recommend using an anti-seize solution especially on stainless steel fasteners. Coarse threading also handles obstructions (such as dirt) in the threading better. They can be fastened even when not fully clean. While coarse threading fasteners are better suited for general purpose applications, fine thread applications tend to have many benefits that make them the ideal choice when specifics matter. Fine threading has a higher tensile strength than coarse threading and it can be measured more accurately. Making them the ideal choice for specific strength applications. Fine threading consists of very shallow peaks and valleys when compared to coarse. As a result, tapping a hole for fine threading can be significantly easier as there is much less material to cut to form the threads. Fine threading also has a very shallow pitch (helical angle). This makes vibrations less effective at loosening fasteners over time. Fine thread fasteners are ideal for environments where vibration is considered an issue. Now that you know how to compare coarse thread vs. fine thread fasteners, you can make the right choice when deciding on which fasteners you need for a project. For more information about fasteners, check out our Fasteners 101 reference pages.